The Verdon River situated in the Provence has cut out a gorge which features magnificent scenery in the form of steep and rugged canyon walls. Verdon River running through the Grand Canyon du Verdon, Gorges du Verdon, Parc Naturel Regional du Verdon, Alpes du Haute, Provence, France, Europe. 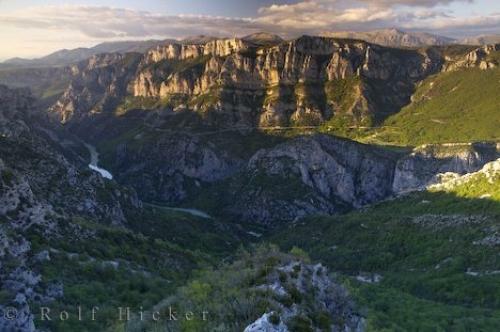 Picture of the Grand Canyon du Verdon and the Verdon Rivergorge in the Alpes de Haute region of Provence.